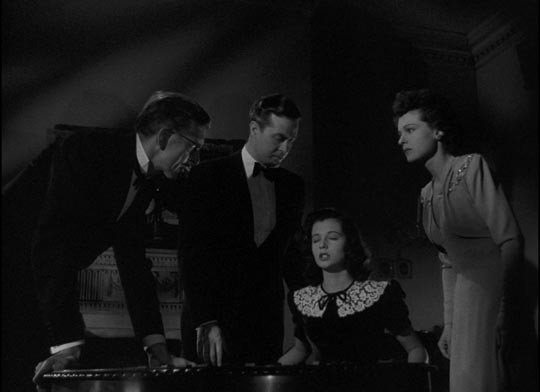 The Uninvited (1944) was one of the first American movies to treat the ghost story seriously. Until then, ghosts were either played for comedy, or were deceptions cooked up as part of some criminal scheme, or they were used metaphorically or symbolically. But the idea that the actual spirits of the dead might linger on Earth for some reason and cause problems for ordinary people, although long a staple of literature, had been avoided. Lewis Allen, born in England, had worked in the theatre in London and New York before heading for Hollywood, where, at age 39, he directed The Uninvited, his first feature. In many ways it’s a remarkable debut. It virtually invents a new genre – the supernatural mystery rooted in dark secrets and aberrant psychology – and it does so with a finely tuned sense of atmosphere and a subtlety which seems to slip some surprising details past the Hays office censors (infidelity, illegitimacy, “unnatural” relationships) which might have been problematic in a film not, perhaps, seen as somehow trivial because of its fantasy element. 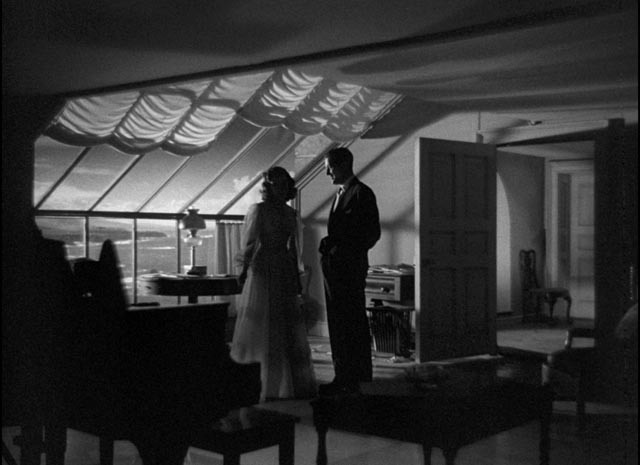 The film is even more striking in light of Allen’s subsequent career – a decade in features, with most of the sixteen he made romances, with a few thrillers and noirs thrown in (his other most notable feature is probably the small, intense B-movie Suddenly, starring Frank Sinatra), followed by a quarter century of working almost exclusively in episodic television. 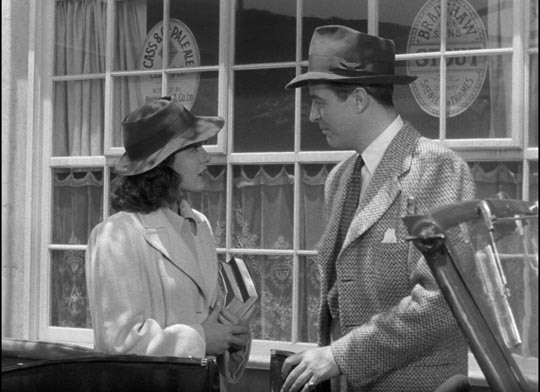 Set on the Cornish coast of southwestern England in the present, not the comfortably distant past, the story introduces us to brother and sister Roderick and Pamela Fitzgerald (Ray Milland and Ruth Hussey), just ending a two week holiday away from their flat in London. Roderick is a frustrated, self-doubting composer who ekes out a living writing music criticism, while Pamela seems to be a kind of caretaker, looking for ways to encourage his creativity. Although the film makes nothing in particular of their relationship, the viewer senses something odd, as if at some level they’ve never quite left a mutually dependent childhood. A walk along the cliffs above the pounding sea brings them to an apparently empty and abandoned house. When their little terrier chases a squirrel in through an open window, they climb inside and Pamela is immediately taken with the house and decides that it would be an ideal place for Roderick to settle down and begin writing his music … they just have to pool their resources. 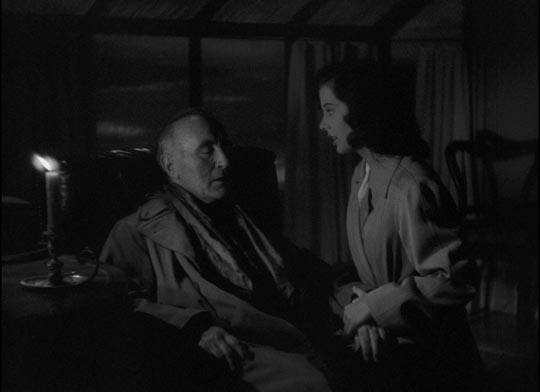 Roderick, although viewing this as an idle fantasy, allows her to push him into making an offer to the owner, the rather unfriendly Commander Beech (Donald Crisp). But before they meet him, the Commander’s granddaughter Stella Meredith (Gail Russell) tries hard to dissuade them. The Commander, however, seems particularly eager to get rid of the house and sells it at a price far below its apparent value. Needless to say, rumours in the village suggest that there’s something “not right” about the house and, indeed, on some nights a woman can be heard sobbing in inconsolable grief. And the room at the top of the house which was once Stella’s father’s painting studio always seems to be far colder than it should be. 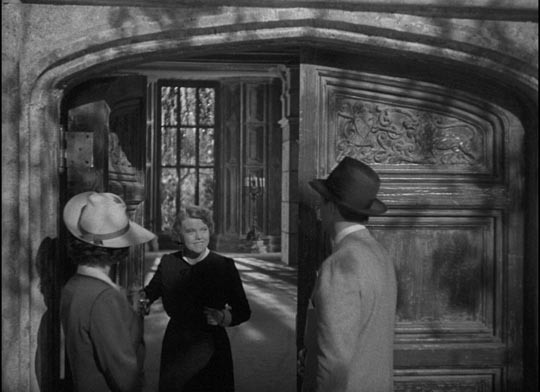 Stella, who spent her first three years in the house before her glamourous mother Mary died tragically in a fall from the cliff (rumours of murder in the village), is eager to befriend the Fitzgeralds and regain access to the house, but the Commander goes to increasingly more extreme lengths to keep her away. The house’s mysterious past involves Stella’s parents, her father’s Gypsy model Carmel, possible murder, and ultimately questions surrounding Stella’s birth. 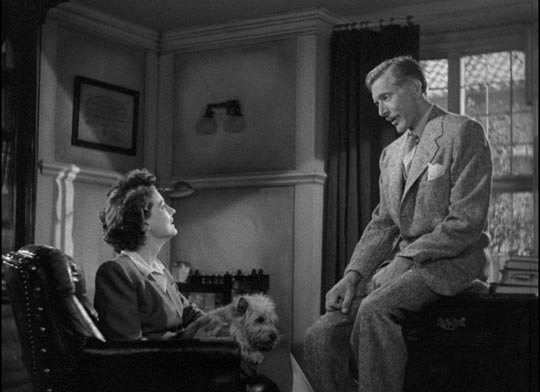 In a crucial subplot involving Mary’s best friend Miss Holloway (Cornelia Otis Skinner), there are even hints of a Rebecca/Mrs Danvers kind of “unwholesome” relationship. Only by untangling the long suppressed threads of past history can the ghosts finally be moved on from the house, paving the way for newly formed romantic relationships which, in addition, allow Roderick and Pamela to also move forward. 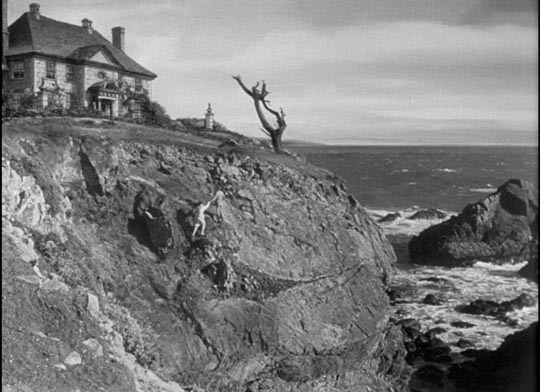 The photography and Victor Young’s lush score set a deeply romantic tone from the opening shot, which pans across the surging sea at the base of the cliffs and up to the looming house as the brother and sister climb towards it, and that tone is essential to the drama which is played out and ultimately resolved through the presence of those unseen spirits. We realize very quickly that Roderick and Stella are destined to fall in love, and their growing emotional bond is what finally triggers the malevolent actions of the hostile spirit which haunts the house. 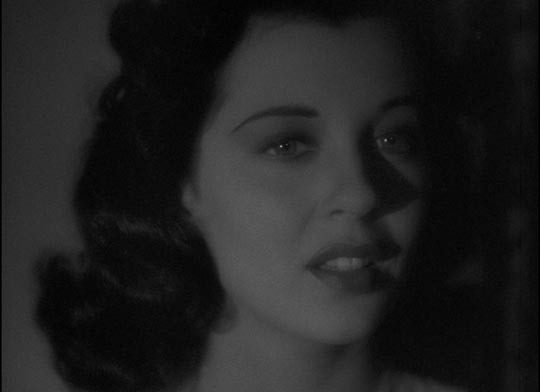 The five main performers play it straight, without a trace of condescension towards the material, infusing the story with a genuine air of tragedy, but the heart of the film resides in Gail Russell, whose Stella is the focus of the haunting. Strikingly beautiful, Russell was only nineteen when she made The Uninvited and it was her first major role in an unhappy career. Subject to crippling insecurity, she was already drinking to control her nerves by the time she made The Uninvited and that habit plagued her career until her early death at age 36. 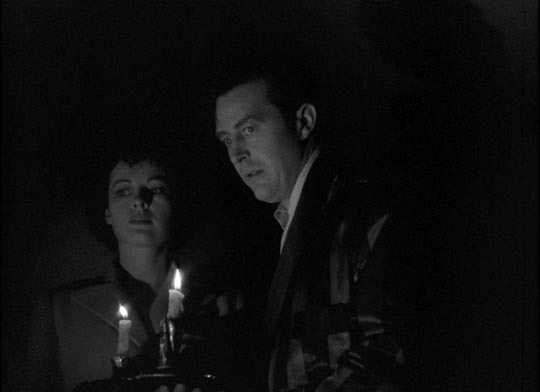 Perhaps partly because of her looks, many considered her an untalented actress, but her Stella Meredith is a subtle, nuanced performance which embodies all the stormy romantic undertones of The Uninvited and raises what could have been a disposable trifle to the level of the great ghost movies, like The Innocents and The Haunting. Criterion’s transfer from a safety negative taken from a fine-grained nitrate composite print is very clean, with rich contrast (the blacks are lush and shadow details subtle) and the mono soundtrack is very clear, giving a full-bodied tone to Victor Young’s rich score. 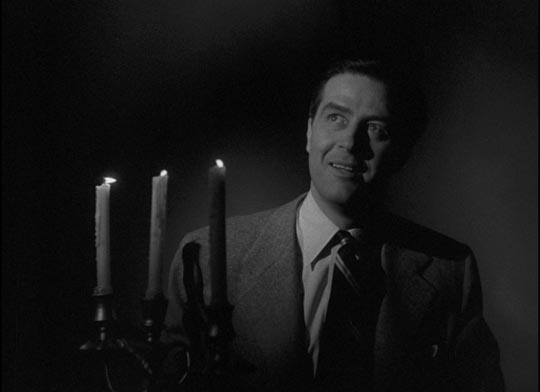 In addition to no less than two half-hour radio adaptations of the film from 1944 and 1949 (both starring Ray Milland), the disk includes one of the more eccentric supplements to show up on a Criterion disk in some time. Michael Almareda’s 27-minute visual essay Giving Up the Ghost seems only glancingly to deal with The Uninvited as it delves into the careers and on and off screen images of Milland (with particular emphasis on Fritz Lang’s The Ministry of Fear, Billy Wilder’s The Lost Weekend, and even a passing reference to Lee Frost’s The Thing With Two Heads) and Russell (emphasizing the impact of her insecurity on the quality of her performances). Almareda also interviews cultural anthropologist Erin Yerby about the history of spiritualism and the possible psychological underpinnings of experiences with ghosts, finally working his way around to the idea that movies themselves constitute a kind of ghostly manifestation, a communal contact we all share with those who (like Milland and Russell) are now long dead. And as always with Criterion, there’s an informative booklet; this one contains a perceptive essay by Self-Styled Siren Farran Smith Nehme and an interview with Lewis Allen conducted by Tom Weaver in 1997 when the director was 92. This entry was posted in Review and tagged Actors, Criterion, Directors, DVD, Horror. Bookmark the permalink.